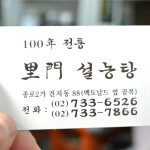 On the list at #7 of Seoul’s oldest and best restaurant is the legendary Cheongjinok 청진옥 in the Jongro district. 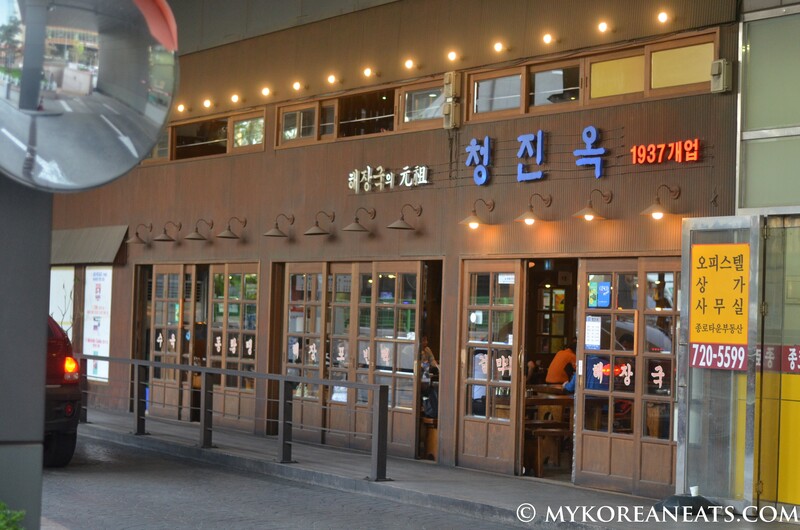 They’ve been satisfying customers with their hearty bowl of haejangguk 해장국 (“hangover soup”) for over 75 years with generational ownership intact, meaning the recipe has been unchanged for all those years. 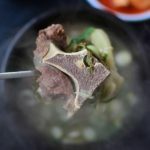 Unlike other establishments, their hangover soup is packed with seonji 선지 (congealed cow’s blood), tripe, and other intestinal goodies in a beefy broth that’s been simmered for more than 24 hours. Being my first time eating here, I was a little apprehensive because I’ve had my fair share of bad experiences with these types of haejangguk. 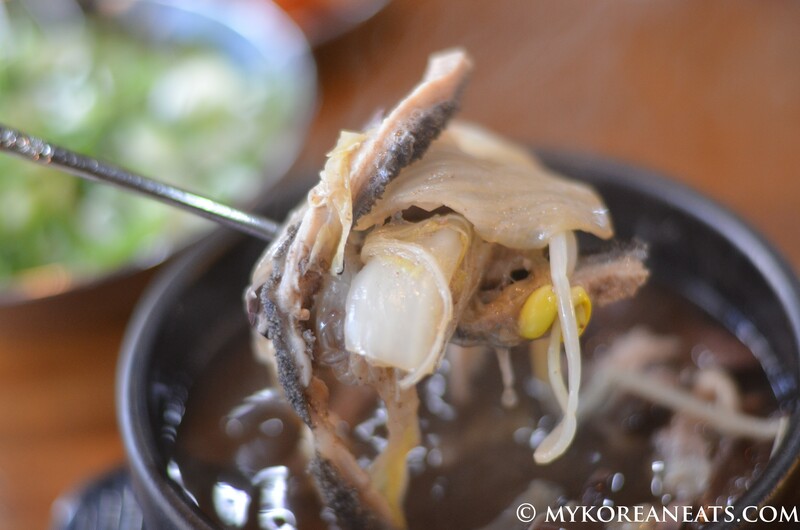 Haejang soup is said to taste better when served in an earthenware bowl. Haejang means to eat or drink something in the morning to relieve a hangover. 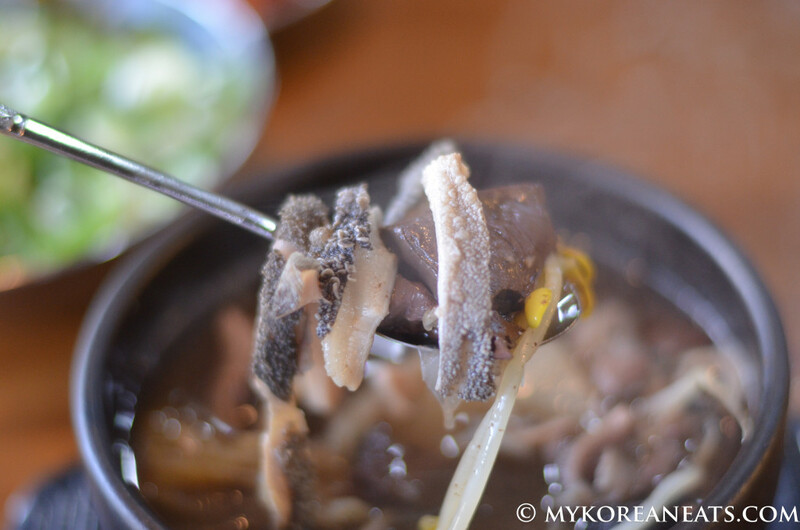 The soup often contains different kinds of meat, vegetables and seasonings and can be easily eaten without side dishes, though kkakdugi, or sliced, pickled radish, goes well with it. Some eat the soup at night with alcohol and again the next morning to relieve the ill effects from their drinking. 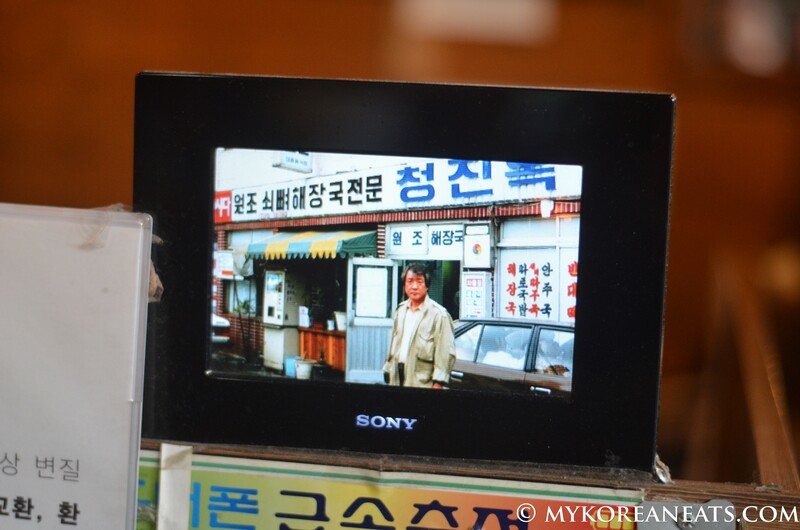 “Haejang soup was the beginning of the Korean dining out culture,” said Chung Hae-kyung, a food and nutrition professor at Hoseo University. 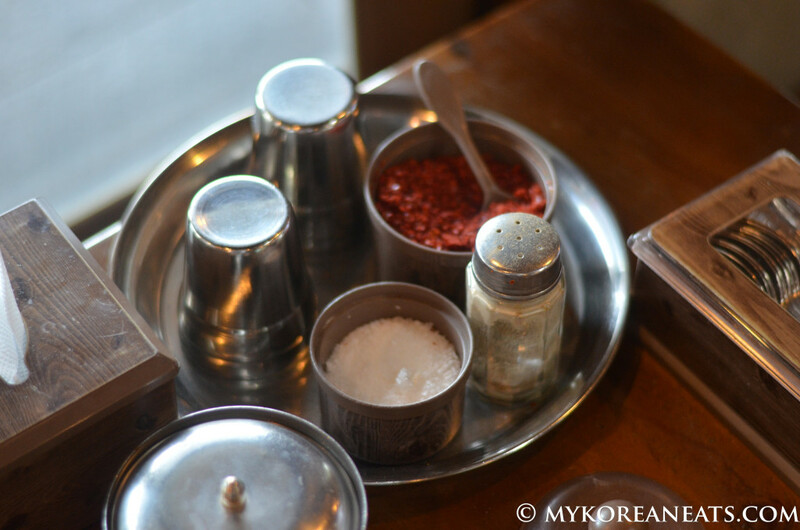 Different types of haejang soup can be found all over the country. 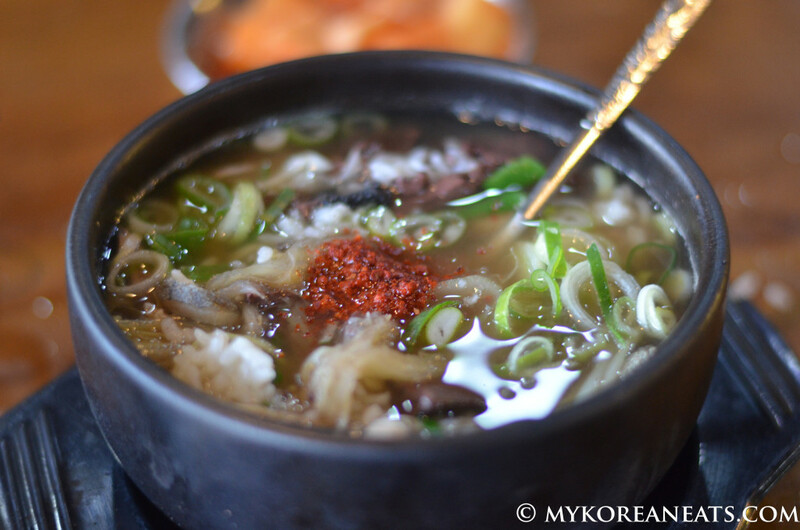 Besides its taste, the soup is affordable and widely available. 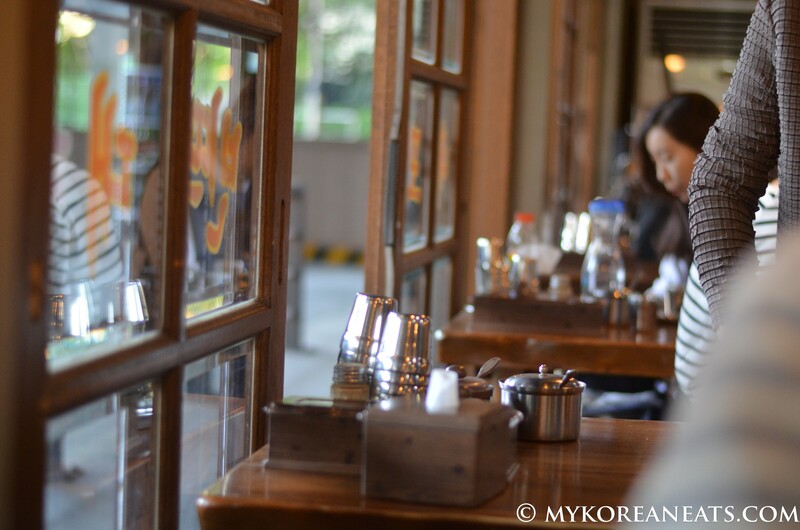 It is usually sold in humble-looking restaurants and costs about 5,000 won ($5). 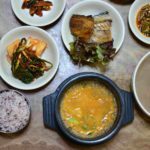 There was no concept of dining out during the Goryeo and Joseon dynasties, but taverns sold haejang soup as an accompaniment to drinks or as a complete meal. 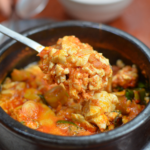 Though all share the same name, there are many types of haejang soup. 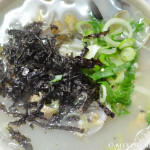 A blood sausage soup is sold on the streets of Cheongjin-dong, Seoul; bean sprout soup (kongnamul gukbap) in Jeonju; pork soup (dwaeji gukbap) in Busan; corbicula shell soup (jaecheop guk) in Seomjin; marsh snail soup (olgaengi guk) in inner Chungcheong province; and dried pollack soup (bukeo guk) in Gangwon province ― guk means soup and bap means rice. 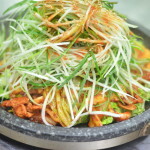 Cheongjinok’s haejangguk @ 9,000 won. Up close with tripe and sunji (congealed cow’s blood). Up close with tripe, cabbage, and beansprouts. Salt and gochugaru (red chili flakes) to season your soup accordingly. Packed house at 2pm on a weekday. 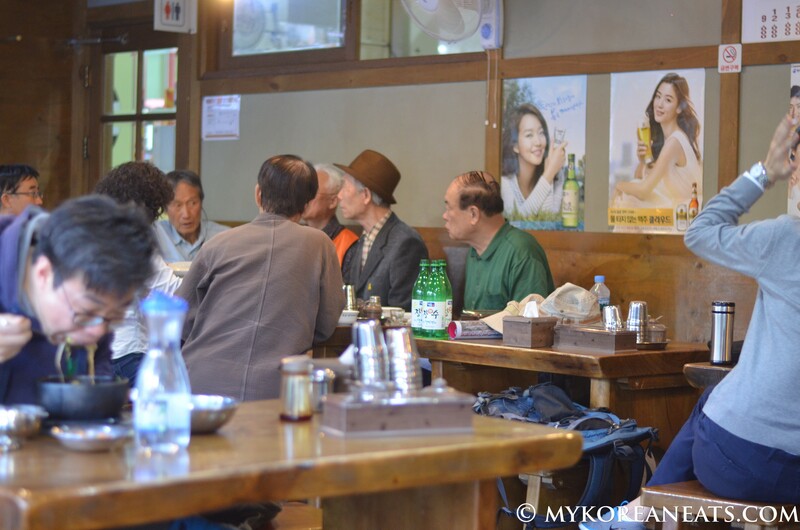 A few gents enjoying some soup with makgeolli (rice wine). Their previous location captured via screenshot. One of the few places that give off that old-school feel despite its rather new, modernized location. Lee, Hyori watching me throughout my meal. Plenty of beef based soups and some anju dishes (food paired with alcohol) for the drinking crowd. The bindaetteok (mungbean pancake) @ 13,000 won is also a big seller here.